Are you travelling to or from Sydney airport soon? Before paying overpriced taxi fares or risking a traffic nightmare in a hire car, consider the other alternatives for Sydney airport transfers. You’ll save yourself precious time and money! Sydney is a stunning city. It’s also a very big city and unless you know your way around, odds are you will waste a lot time trying to find your way around. 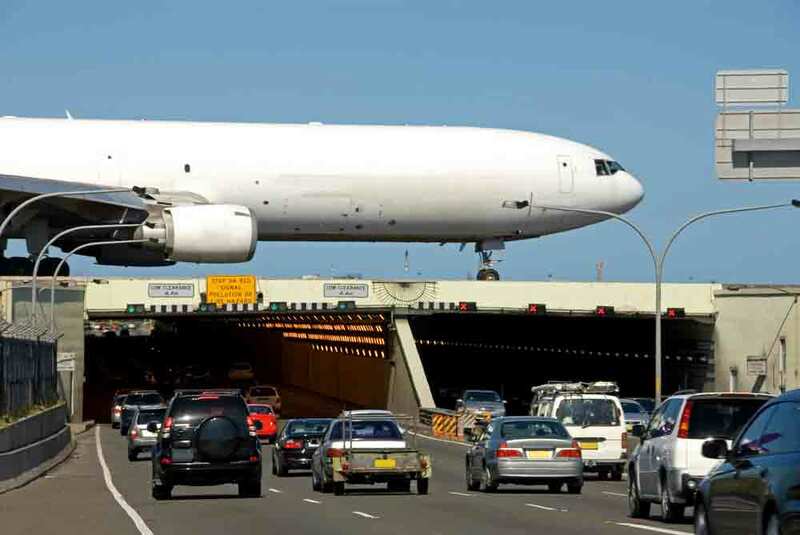 Luckily, you can actually book your Sydney airport transfers before you even board your plane! Sound convenient? It is! Let us tell you more. Why book a Sydney airport transfer? There are many options available for travellers to get to and from their accommodation, conference venue or special event in Sydney. Unfortunately many are very expensive and don’t offer you the convenience you deserve, even with a high price tag. Taxis, airport shuttles and buses are the popular choices when it comes to airport transport. In a busy city like Sydney, other options like Sydney chauffeured cars or Sydney limousine hire for corporate or personal use, can be surprisingly cost effective and more reliable than the standard options. CitiCar gives you the choice of several comfortable and clean cars to select from, including the Holden Caprice, BMW 7 Series, Mercedes S Class and Mercedes Viano. We also have a fleet of larger people movers for group bookings. Whatever your Sydney airport transfer needs, there’s a suitable and budget friendly option for every requirement at CitiCar. Perhaps most importantly, our professional chauffeurs and drivers have an intricate knowledge of Sydney’s traffic system. They are always reliable and offer a quality service that will leave you feeling confident you’ll reach your destination on time. Sydney Airport is one of Australia’s essential pieces of infrastructure and a vital part of the nation’s transport networks. With a reputation around the world for its exceptionally high levels of service and facilities for both passengers and airlines, it is no surprise it is a popular hub for tourist and business travel. Conveniently located only 8km from the city centre, Sydney Airport provides easy access to the city’s most significant business and leisure locations, including a huge range of accommodation options. Inside the airport you will find an abundance of shopping, dining, frequent flyer lounges, bars and cafes. Ideal for when you are experiencing a stopover or have not got quite enough time to leave the airport prior to catching a connecting flight. You’ll never find yourself bored or hungry at Sydney Airport! Both domestic and international terminals in Sydney offer public parking, in addition to drop off and pick up bays. As a result you cannot park anywhere that isn’t specifically signed. For those flying with regional carriers, the public pick-up area (T2) is ideal. This is the domestic terminal used by Jetstar, Virgin Australia, Regional Express (Rex), Tiger Airways and other regional-only airlines. The pick up zone features 52 parking spaces that offer 10 minutes FREE parking for those collecting friends and loved ones. There is a designated pick-up area located within the International carpark. The carpark offers 15 minutes FREE parking for drop off and pick up, however if driver stays beyond the 15 minutes they will be charged regular parking rates. There are allocated pick up and drop off bays at the Sydney airport. International has one terminal (T1) and domestic flights has two terminals (T2 and T3). Due to security restrictions, these only allow a two minute standing to drop off passengers and under no circumstances is the driver permitted to leave their vehicle. If any of this sounds confusing or stressful, rest assured that hiring a CitiCar Sydney airport transfer means you can forget about rules and regulations. Our drivers will take care of parking and meet you at your flight to assist with luggage and guide you to your waiting vehicle. As a result of the central location of the Sydney airport, there is an abundance of hotels nearby. This makes it convenient for both holiday makers and business people. With accommodation to suit every budget and style, you will be satisfied with the available options. This 4.5 star hotel is the closest accommodation to the international terminal. Room charge includes free WiFi, free high-speed Internet and LCD TVs. Rydges Sydney Airport Hotel offers guests the option of dining in the restaurant, or they can take advantage of its 24 hour room service. Within a short 20 minute drive, you can enjoy attractions including the University of Sydney and Sydney Harbour Bridge. Location: 8 Arrival Court, Sydney International Airport, Mascot, NSW 2020. This reasonably priced 4 star hotel is situated close to the Sydney Airport. It offers travellers somewhere convenient and close to stay for the night while on business, or simply passing through. The restaurant is open for breakfast and dinner daily, with a Woolworths supermarket located only a short distance away for purchasing those last minute forgotten items. This hotel is also only 20 minutes from local Sydney tourist attractions. Location: 35 Levey Street, Wolli Creek, NSW 2205. This Ibis is ideal for those travelling on a budget or who don’t mind where they stay as long as it is conveniently located. You can enjoy a drink at the hotel’s bar lounge in the evening or order a buffet breakfast before checking out. This budget hotel has all the amenities you need while staying the night, including flat screen TVs and wireless internet. Location: 5 Ross Smith Avenue, Mascot, NSW 2020. Conveniently located close to the Sydney Airport, this 4 star hotel features 2 bars, 2 cafés and a restaurant. If dining in doesn’t interest you, this hotel offers 24 hour room service for its guests. For travellers on holiday, enjoy the outdoor swimming pool, fitness centre, spa tub and sauna. Business people can take advantage of the hotel’s event facilities, including 11 meeting rooms and conference space, in addition to other business amenities. Location: Corner of Robey and O Riordan, Mascot, NSW 2020. Sydney is home to several great destinations ideal for corporate and business needs. If you want to keep your meetings less formal and enjoy a casual lunch or dinner, try to following locations. This steakhouse is the perfect place to schmooze your client and make the deal. With an atmosphere to die for and decadent dining, you will have impressed them from the moment they walk through the doors. Enjoy a budget-friendly business lunch for under $30 in the CBD. A Glass Brasserie lunch includes options such as a wagyu burgers, shish kebabs or a quesadilla with a complimentary beverage. The restaurant’s central location makes it a popular choice for meetings in the evening. Location: Level 2, 488 George Street, Sydney, 9265 6068. Other popular alternatives include conference rooms at hotels such as the Stamford Plaza Sydney Airport, situated just minutes from the airport. While Sydney is a beautiful city filled with amazing places to see and things to do, finding your way from district to district in the city can be confusing and extremely frustrating. 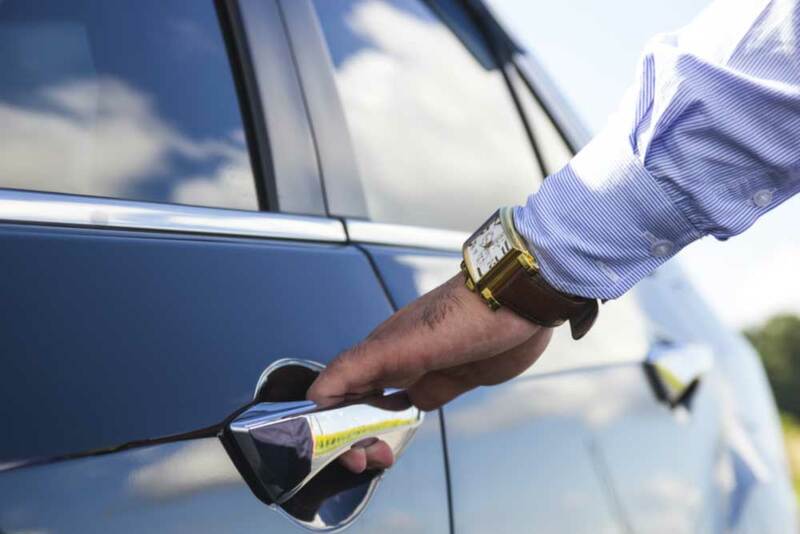 It is for this reason visitors often prefer to hire the skills of a professional driver to assist them in getting around the city, especially when it comes to their Sydney airport transfer. Sydney is best known for its harbour-front Opera House alongside vibrant water front markets, dining and ferry rides. Catch the ferry into the harbour and watch the magnificent structure of the Opera House gleam in the sunlight. Perfect for families and individuals alike, this is one of Australia’s best known animal attractions. It’s the perfect way to spend the day with the kids or to escape the hustle and bustle of the city. Learn about animals from over 350 different species, including native Australian creatures, and the important global breeding and conservation programs at this specialised zoo. If you are really feeling adventurous, you can take part in the Taronga Zoo’s ‘Roar and Snore’ which allows visitors to spend the night at the zoo. Open hours: Open daily 9:30am-5pm (Sept-April), 9:30am-4:40pm (May-Aug). The ‘Coathanger’ as locals call it, is a popular choice for sightseers and bonding activities. You can now enjoy incredible, city-wide views via a climbing tour up the side of the bridge. Circular Quay is home to the Sydney’s main ferry terminal, which is why ferries are a popular form of transport from Circular Quay to other prime tourist attractions. These attractions include Manly, Watson’s Bay and Taronga Park Zoo. On gorgeous sunny days, Circular Quay is filled with lively cafes, street performers and visitors appreciating the sparkling waterfront setting. Hiring a car in a strange city may seem like the logical choice, but it comes with many unforeseen risks. If something goes wrong, it may turn out to be a far more expensive option than the alternatives! Why run the risk when you can leave the driving up to someone who knows the area back to front and enjoy being chauffeured around the historic city in style. Start your visit the right way, with a Sydney Airport Transfer from CitiCar and then why not re-book your driver to help you explore the city. It’s a mistake to think that chauffeur driven cars Sydney cost a fortune, when it’s one of the most affordable ways to get around. CitiCar offers the right service with incredible value for money without compromising on professional attention and safe, reliable driving. Thinking about Sydney airport transfers? Think CitiCar! Book your affordable airport transfer in Sydney today!